The aircraft will enter service Jan. 16 on a domestic schedule. 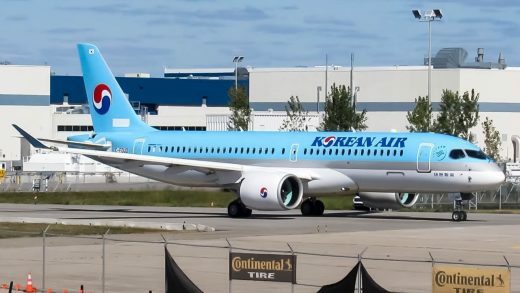 Korean is the third delivery customer for the CSeries after Swiss International and airBaltic. Both airlines are reportedly getting good reliability and better than expected efficiency from the aircraft. “We have witnessed the C Series impressive first year in service, and are pleased to take delivery of our first Bombardier CS300 aircraft,” Soo-Kuen Lee said.